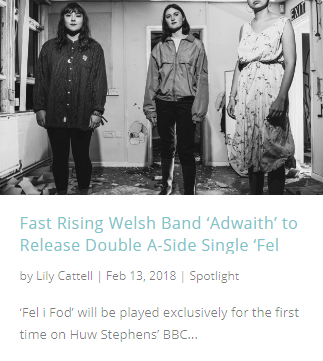 The days of navigating numerous websites to find everything there is about your favourite artist or band will soon be over. 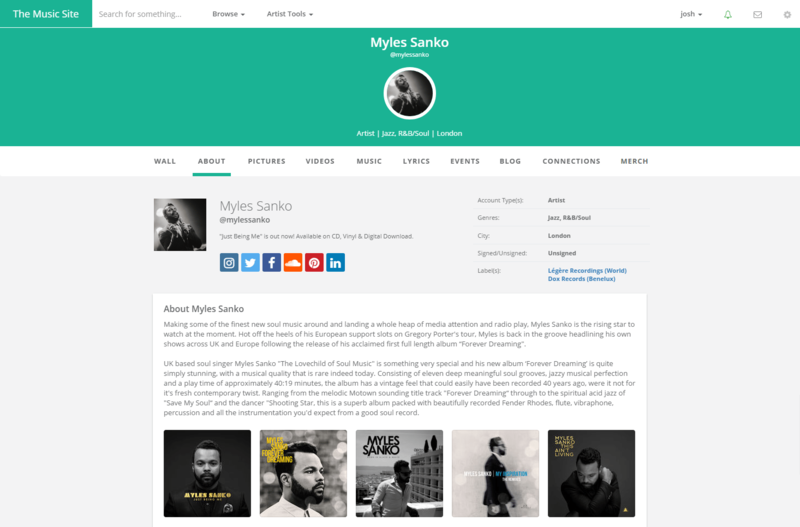 Whether you like, buy, create, perform or work in music, we’ll help you create the ultimate music profile that says everything about you and your interests. Listen to new music and discover your next favorite band. 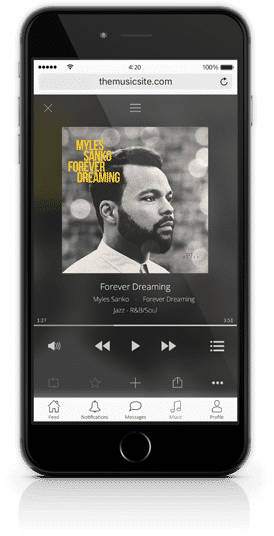 Browse featured and spotlight music, themed playlisting or curate your own to share with others. 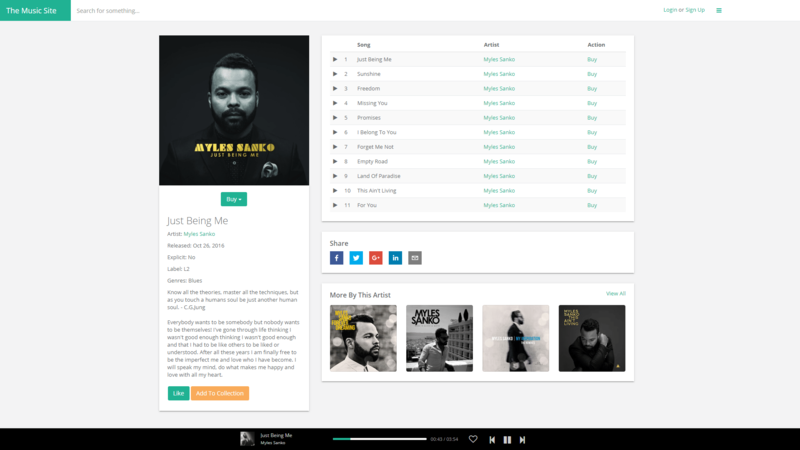 Upload music with no limits, sell direct to fans, link to your Record Label, lyrics, music videos and more. 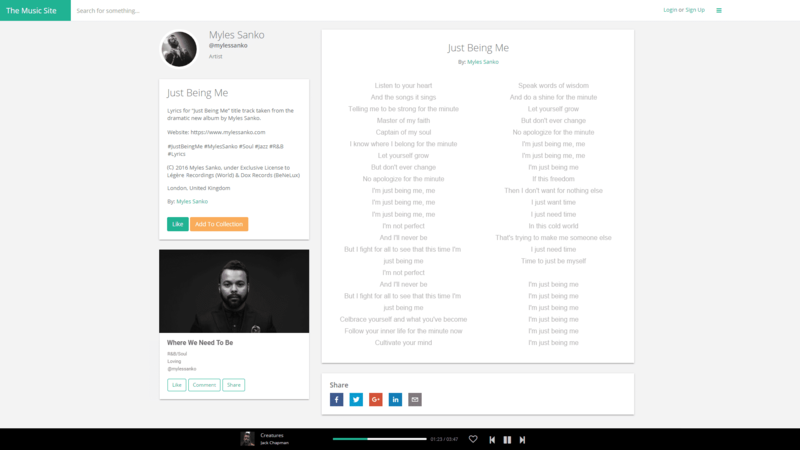 Browse and search lyrics by keyword or maybe by a line or quote, search by artist/songwriter, by mood, language and more. 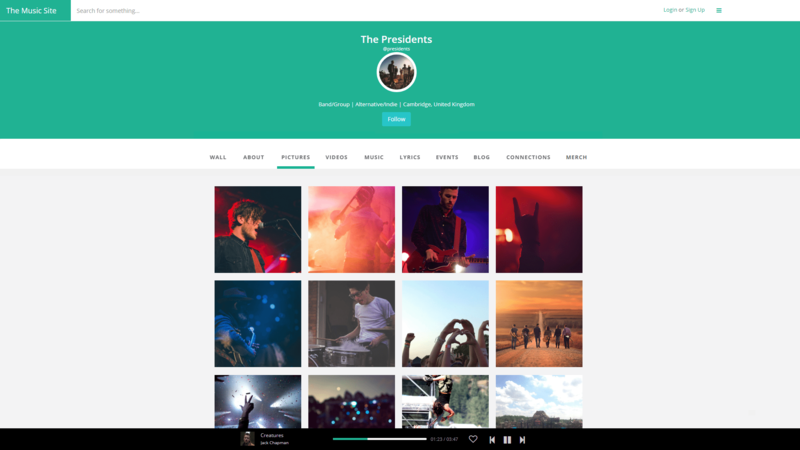 Artists & Creators, give your fans the best experience, upload and link your lyrics to your music and music videos too and, as a picture tells a thousand words, enhance your lyrics and present them over your own HD image – or pick one from our image library. 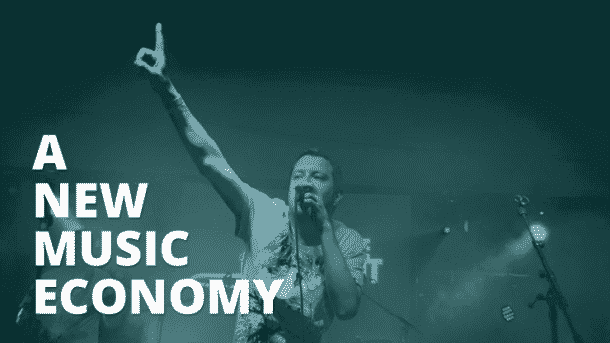 Any event, any type, anywhere, any size, ticketed or free – as long as it’s music. List your upcoming events with comprehensive info including dates and times, multiple contacts, main artists and support acts, venue details, multiple ticket links and more. 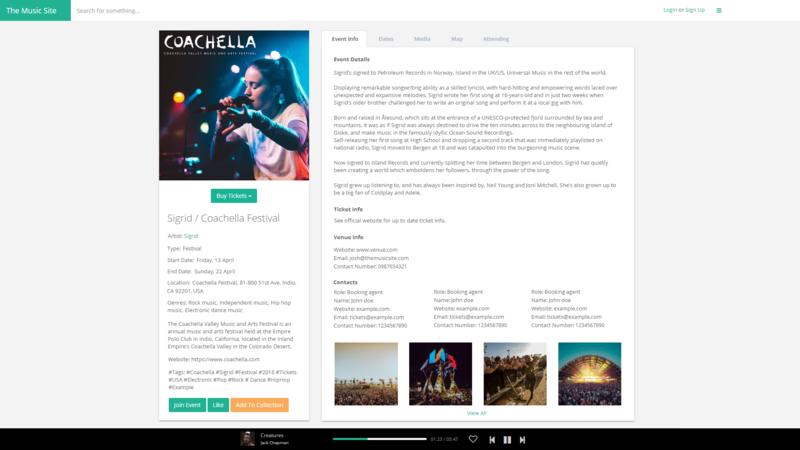 Enhance your event exposure by linking to the artist profiles, attach pictures, videos and music for fans to see and listen prior to the event. Think Instagram just for music, where artists and fans alike can upload unlimited pictures and show the world everything about their music experiences, the good, the bad and even the ugly moments. 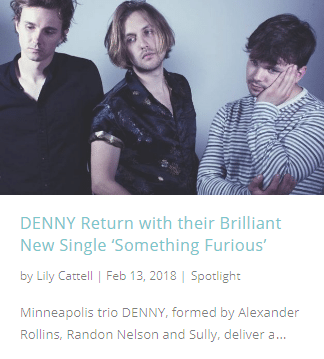 Browse music videos, backstage interviews, lyric videos and everything in between. Easily embed YouTube videos for extra views and increased monetization. 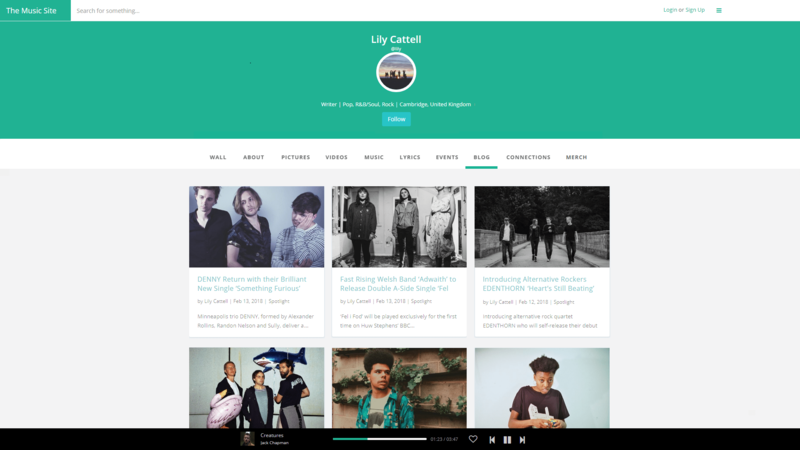 Bloggers heaven, your own music blog extending from your own global music profile. 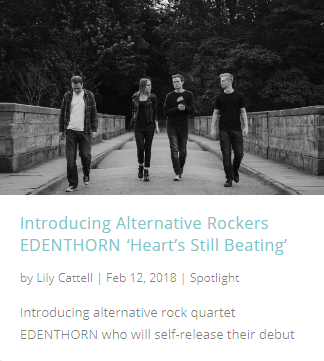 Easily feature images and embeddable media such as YouTube & Vimeo videos, Spotify Playlists, Instagram, Twitter and Pinterest posts plus more! If you’ve got something ‘music’ worth saying, then this is the place to say it. 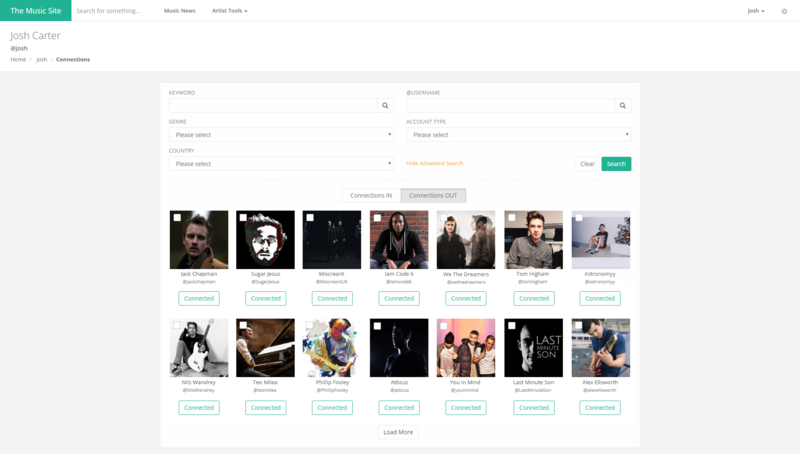 Make, search and manage all your music connections on The Music Site, with a growing list of advanced tools we aim to make this the only tool you need to stay in touch. Filter connections by location, genre and type, easy connect back, one-to-one, broadcast a message or join/start a group chat. Perfect for targeting fans on your tour path! There’s nothing like buying merch from your favourite artist to show your support and tell the world who you are musically. 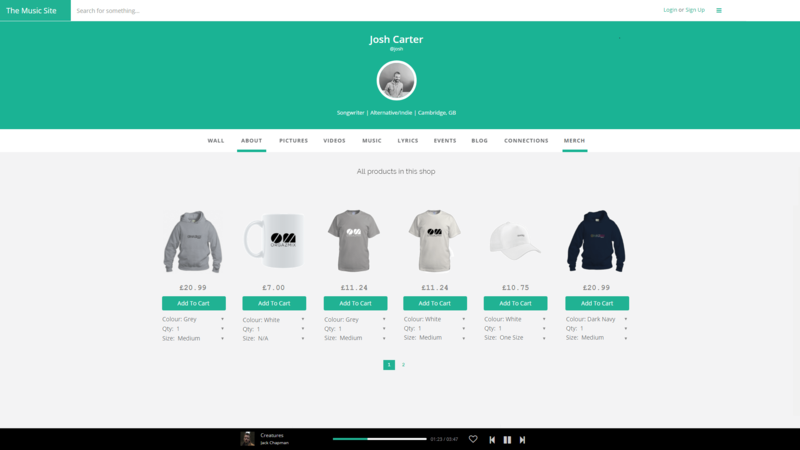 On The Music Site every artist can have their own merch store, accessible directly from within their profile pages and we’ll include all merch within our site wide superstore for easy search, filter, customise and sale. We can fulfil your orders or you can make your own arrangements, we don’t mind, we’re here to help.